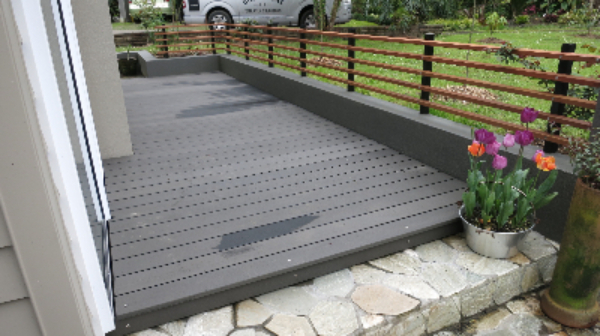 FutureJack is manufactured using UV stable ABS plastic which offers one of the highest levels of compression resistance available in the market, perfect for any decking application. 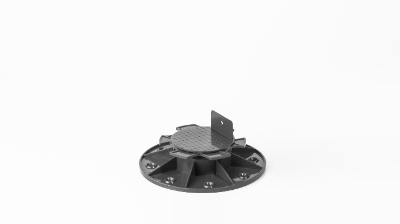 When designing the FutureJack, we were conscious that we wanted a simple pedestal with few parts that would cover most decking scenarios and preferably being able to use one profile to cover an entire project. This we achieved and can offer one item that is adjustable in situ, using our counter thread technology, with no need to purchase bits and pieces to build up to the height required. Sizes we offer ex our stock. 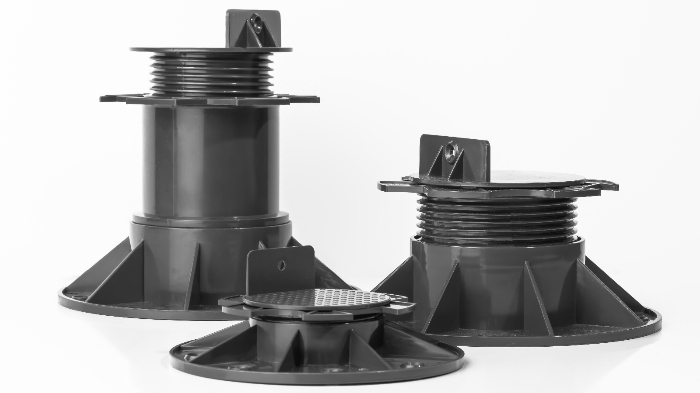 Projack’s 5mm, 15mm, 30mm and 60mm spacers are stacked in any combination and sandwiched between a Projack base and top, allowing you to construct jack sizes from 5mm through to 300mm. Projacks are manufactured right here in New Zealand from high grade UV resistant materials and are backed by local manufacturers’ warranties. Futurewood has teamed with Proframe to offer the quickest and most cost effective pairing of aluminium deck framing and composite decking boards on the market today. Futurewood decking board is the only New Zealand composite with a clip custom designed with Proframe’s aluminium deck framing in mind. Together these products offer the perfect solution when it comes to finishing floating decks over waterproof membranes. 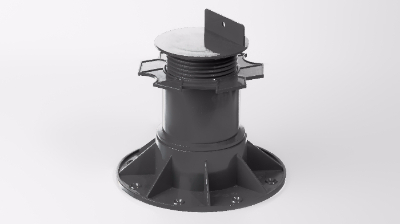 Proframe’s powder coated aluminium joists are extremely stable, unlike traditional timber ripping’s they won’t warp twist cup or bow. Timber movement can compromise your membrane warranty and effect the finished look of your new Futurewood deck. Typically, timber furring’s sit hard down on the membrane restricting the flow of water off the membrane and allowing debris to build up and rot under the decking. 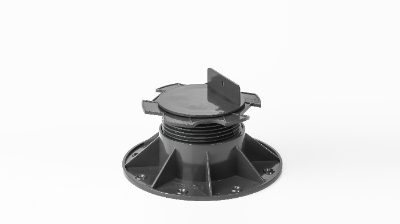 Because Proframe’s joist/bearer is a low 45mm profile the system sits well clear of the membrane, water and debris can easily drain into the gutter and the installation of inspection hatches allows for easy care and maintenance. Proframe’s joist and jack system is up to 75% faster to install than a traditional timber furring especially where substrates have multiple falls. Saving high installation costs and speeding the project up. Adding Futurewood decking board to the frame will further speed the job up compared to traditional timber decking. Installation time savings make the system comparable and in some cases cheaper than traditional timber methods. Because the Aluminium is so stable end plates and nogs are often not required. 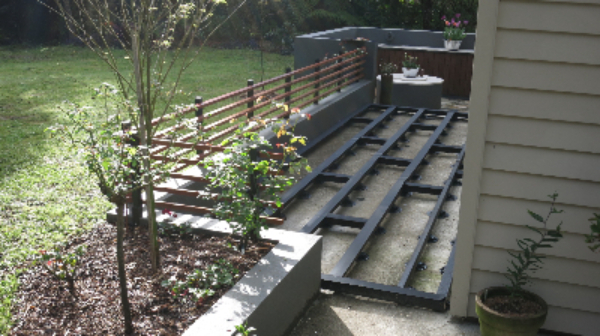 Aluminium joists provide twice the span using half the height of traditional timber requiring less jacks to support the frame. Aluminium weighs a fraction of traditional timber and is faster and is far less physically taxing when loading the framing onto the job site or installing the frame. Lightweight Aluminium can easily be passed up a multi-story scaffold to access difficult areas. 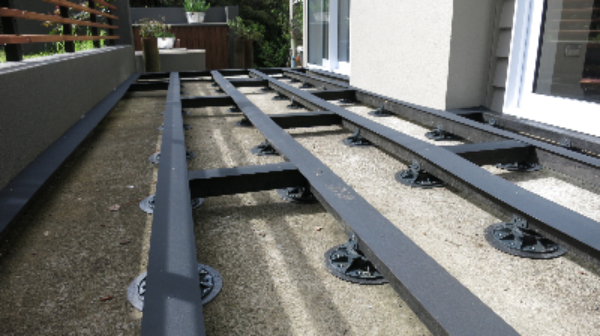 The 45mm profile of the joist/bearer allows for finished deck heights as low as 73mm once the 23mm decking and a 5mm Projack is added, with no compromise to stability. Because the Projack packers are interchangeable it is easier to quantify the correct heights and you are less likely to end up with the wrong sizes onsite, if you run out of the 30mm packer just stack 2 x 15mm packers to achieve the same result. 2 x 15mm packers will cost you the same as 1 x 30mm so you are not disadvantaged, and the job has no holdups. Proframe’s system is fully compatible with Futurewood composite decking. Proframe has a 15 year warranty.